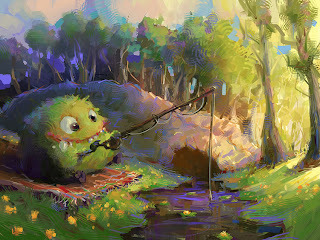 This is the painting I did during my live digital painting workshop, which happened last Saturday. The student participation was just great, and made for a fun environment for me to paint and teach in. I think it shows in the painting too! The recording of the workshop is available for streaming from my art store! I love that. Will you have any videos for beginners?